It became clear to Anne Luz thanks to her background and her study Environmental Geography how our western consumption pattern impacts the environment. This is why the transition towards a fair and more sustainable food system is what drives her and keeps her motivated. Anne Luz is certain that insects are a part of this sustainable food system and thus strongly shares the vision of Burgs Foods. Additionally she has a huge network in all kinds of food initiatives that she gained from her work in hospitality and with Slow Food Youth Network. 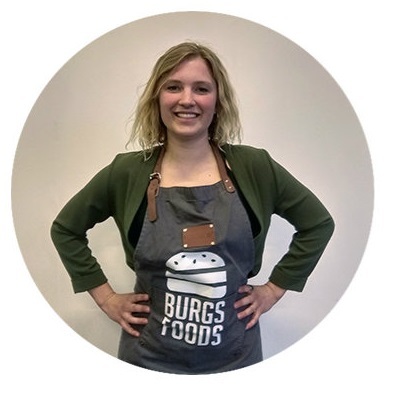 Therefore, in her role as Community Builder, she will focus mostly on strengthening the network of Burgs Foods and the sales towards these valuable channels.